‘You’re going to the Galapagos?’ I was growing accustomed to hearing this phrase in the lead up to my trip. 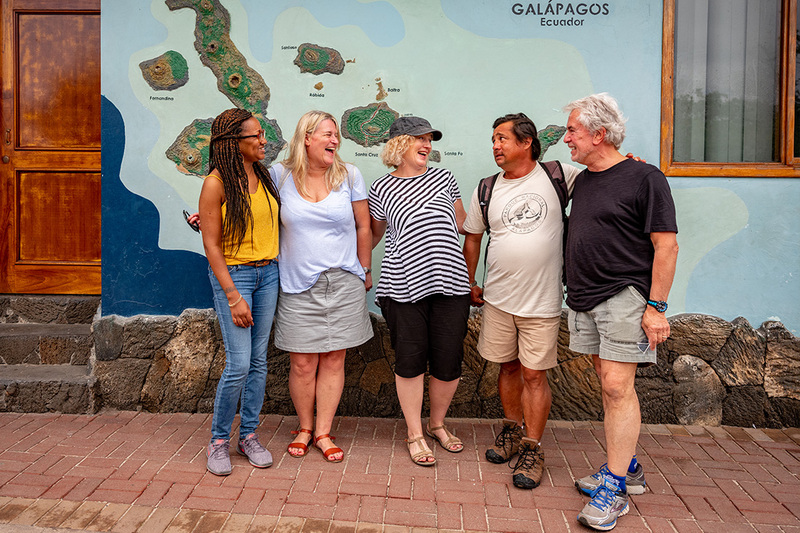 It was my first time not only to the Galapagos Islands but to South America generally, and I was doing my best to keep my expectations neutral. But it’s hard with a place like this. Travellers in the know – whether young or old, wildlife and history-obsessed, or just hungry for something different – hold the place on a pedestal. At least they do in my circle of gung-ho globetrotter friends and colleagues. Regular commentary, good natured in its open jealousy, reminded me that I would soon be swimming with sea lions, pottering around with coffee-table-sized tortoises, and walking across volcanic landscapes littered with iguanas. All of which I did, and it was more incredible than they said. But, as is the reality of travelling in the 21st century, when images of things tend to precede our actual reception of them, these experiences often passed as if in a dream. Huge sea turtles accompanied me in crystal clear water for minutes at a time, and then were gone. Park benches in my peripheral vision began to move, revealing themselves to in fact be yawning sea lions. Blue-footed boobies nosedived into the sea like Olympians into a pool, leaving nothing but a fast memory and a few ripples. It would be hard to describe it all to people back home. Thankfully I had Alexis Navia, our onboard naturalist during the maiden voyage of the Grand Queen Beatriz, to provide some much-needed context in this cinema of mirages. 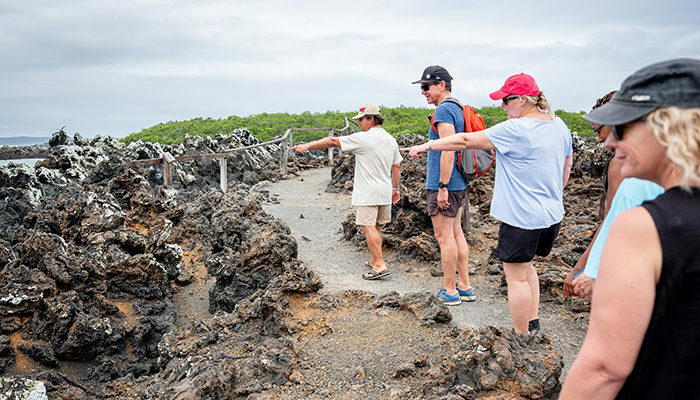 With his 34 years of Galapagos knowledge and experience to draw on, he was handy to have around – especially on land excursions, where we’d alight from the speedboat and explore some new corner of the archipelago by foot, usually before or after some swimming and snorkelling. Today, at Punta Cormorant on Isla Florena’s north shore, Alexis is ponderous. 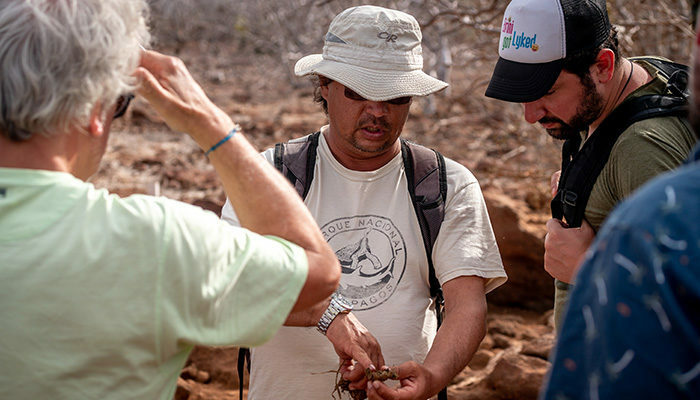 In his white Parque Nacional Galapagos polo shirt, sunglasses and slicked-back hair, his demeanour is more contemplative traveller than scientist in the field. Mostly he has the air of someone who’s been spending some time on an extremely comfortable yacht. 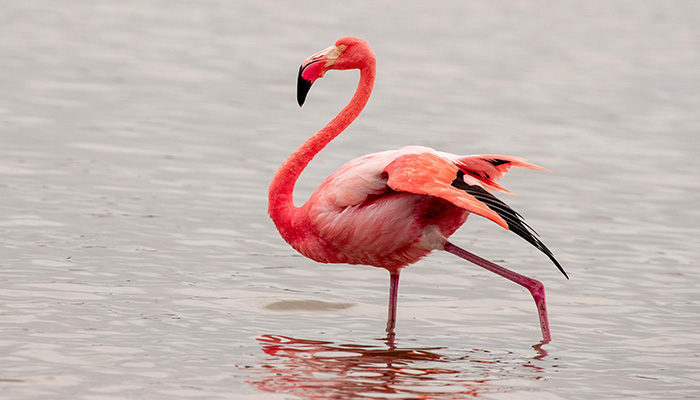 ‘Which begs the question: how did flamingos come to the Galapagos? One hypothesis is that major storms pushed them off the coast of Central America and they ended up here. But I’ve questioned myself many times–’ He interrupts himself with a gasp and points to the sky. ‘Check it out, they are flying!’ I look up to catch the tail-end of the action, a lanky pink thing vanishing into the air. ‘I’ve questioned myself many times about that theory,’ Alexis continues, once the commotion dies down. ‘Because there have been huge hurricanes and enormous storms over Central America, and we have no reports of new flamingos in the Galapagos. The total population that we have in here is 314. The population is not increasing, it’s very stable.’ A brief dissertation on the symbiotic relationship between flamingos and shrimp follows, but the greater migration riddle is never solved. Soon we’re on Charles Darwin Research Station, on Isla Santa Cruz, on our way to see ‘Tony’ – Alexis’ codeword for every animal under the sun. On this occasion he is referring collectively to the baby tortoises, who we find meandering around their re-training enclosure, learning to find their own food again in preparation for their return for the wild. The tortoises steal the show, but it’s what happens on the way that hangs in the air. After a quick show-and-tell about scalesia, or ‘Galapagos broccoli,’ Alexis’ favourite endemic plant, there’s a spiel on Charles Darwin. ‘Many people think he is a fake. He [and botanist Robert Alfred Wallace] ended with the same conclusions, and they say the working papers of both are very similar.’ I’m surprised to hear it; I know about the idea of Darwin’s theory of evolution going against the church, but not the theory he was a plagiarist. Torn between the urge to press him further and the cold beer someone has placed next to my banana lounge, I decide to call it a day. I’ve picked the man’s brain enough. Hungry for answers, I can settle for mysteries. It’s those, at any rate, that apparently keep people coming back. 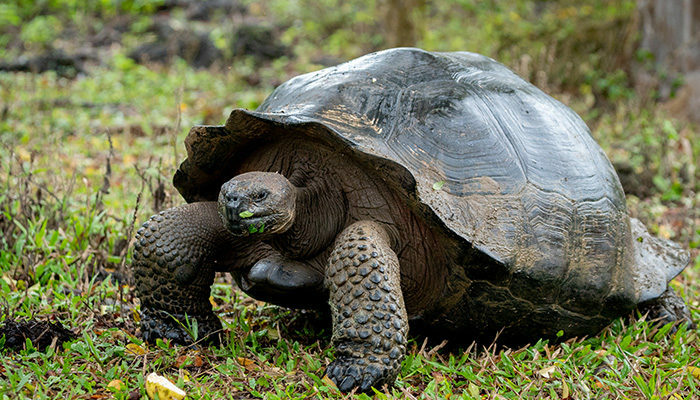 Is it your time for the Galapagos Islands? 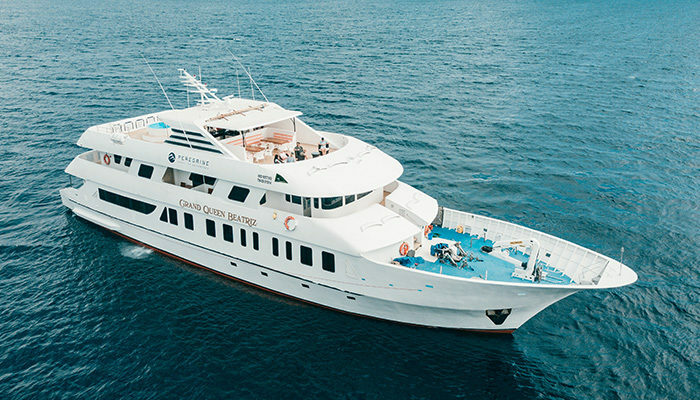 Book a Peregrine small-ship cruise around this one-of-a-kind archipelago today.